Ah, it’s October. Leaves browning, cold weather coming in, Halloween decorations begin filling store shelves and front yards…. Unless, of course you are like me and live in Southern California and it is currently 97 degrees with no end in sight to the heat. This is why I must rely on films, TV shows and books to put me in the correct mindset for Halloween. A new addition to my Halloween Fantastic Adventures segment is the recently released Toy Story of Terror. First aired in October 2013 on ABC, this short 30 minute film doesn’t necessarily take place on Halloween, but is more of an homage to classic spooky monster movies. The toys wind up in a roadside motel when their humans’ car gets a flat tire on a road trip. Once inside, the toys begin disappearing one by one. What is this mysterious creature taking all of the toys? And what is he doing with them? You’ll just have to find out, won’t you. Why it is a fantastic adventure: This short movie is a great way to introduce your kids to classic spooky movies. There are a lot of “jump” moments with things popping out from behind shower curtains, off the side of the frame, etc. In typical Pixar fashion, it is all done in a kid safe style. It’s not too scary, but just enough of a jump to get your kids flinching. The tension is easily relieved by humor, and your kids will be screaming and laughing right along with their favorite toy characters. Get your kids introduced to some spooky entertainment and get them ready for a season of Halloween TV specials and movies! 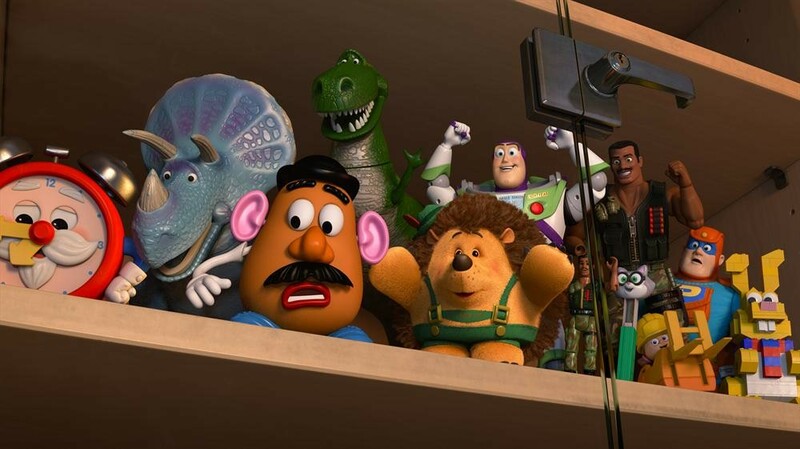 Toy Story of Terror is available on Blu-Ray and DVD at Amazon.com or other fine retailers. For more Halloween movie and TV recommendations, please visit my 31 Days of Halloween posts by clicking on the banner on your right and look for Fantastic Halloween Adventures!